Chandra Shekhar Azad (23 July 1906 – 27 February 1931), popularly known as Azad (The Liberated) was one of the most fearless and greatest freedom fighters of India. He is considered to be the mentor of Bhagat Singh and cheif Stragiest of HSRA (Source: Wikipedia). Here I have compiled down some of the popular Chandra Shekhar Azad quotes and sayings. 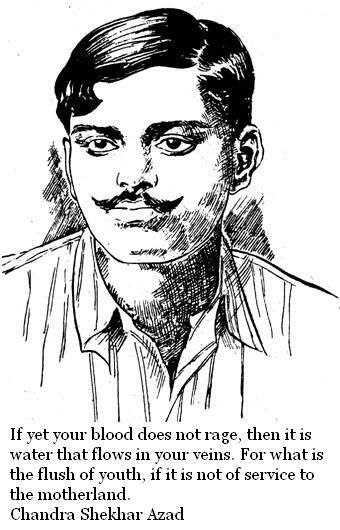 Just hope you like the quote compilation and learn something inspirational from the words of Chandra Shekhar Azad. Don’t see others doing better than you, beat your own records everyday, because success is a fight between you and yourself.